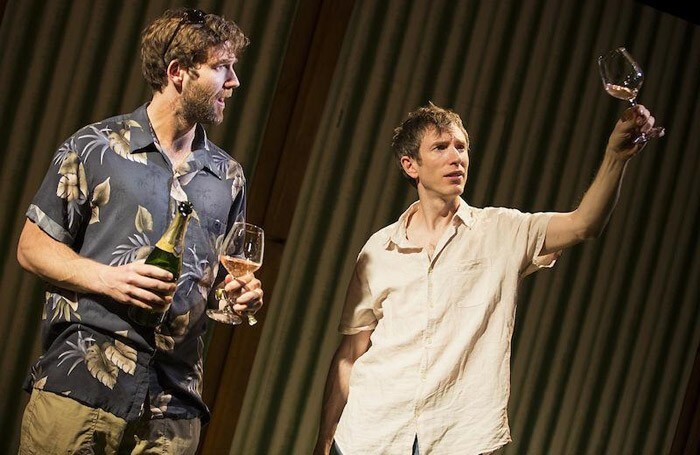 Simon Harrison and Daniel Weyman in Sideways at St James Theatre, London. There’s a definite whiff of vinegar to this stage adaptation of Rex Pickett’s Sideways. While there were pleasures to be derived from Alexander Payne’s 2004 film version of Pickett’s novel about a couple of middle-aged buddies on a booze-fuelled bachelor week around California’s wine country – notably Paul Giamatti’s wonderfully splenetic tirade against Merlot – it doesn’t translate well to the stage. It’s not entirely un-drinkable, but it’s far from Premier Cru. It’s party dregs. It’s box-wine. Miles, wine buff and aspiring writer, and his friend Jack embark on a tour of West Coast tasting rooms ahead of the latter’s nuptials. Jack is determined to use the time to do some wild oat-sowing before he gets hitched, while Miles is still licking his wounds following his divorce. Conveniently they immediately collide with two women who not only know a lot about wine but also find them both unaccountably attractive. Pickett is adept at skewering the simultaneous poetry and pretension of the oenophile. There are some well-cellared lines here, but they’re buried deep within David Grindley’s spectacularly uneven production. The first half weaves all over the place, the pacing chaptered and choppy, feeling very much like a novel deposited on the stage. It doesn’t help that the production fails to in any way evoke the verdant California landscape. It doesn’t even appear to try. 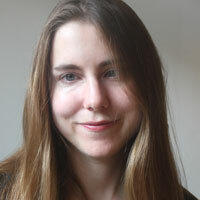 Laura Hopkins’ set is remarkably basic. It consists of two cabanas which can be (with some effort) transformed into seedy motels or one of the many tasting rooms the duo visit. The whole thing looks as if it’s been constructed from balsa wood and sellotape – you can see the joins. Daniel Weyman does a heroic job of making Miles less punchable than he otherwise might be, he brings pathos and nuance to the character, but Simon Harrison’s Jack is a one-note boor. Ellie Piercy (so good in Barney Norris’ Eventide) also does her best to make Miles’ love-interest Maya feel like a complete person despite not having a lot to work with. The production starts to feel a bit like a companion piece to Matthew Perry’s recent West End misfire, The End of Longing. Like that play it explores the relationships between a quartet of forty-something characters, their hang-ups and addictions. and like that production it strives for a poignancy it doesn’t come close to achieving. The women are at best catalysts, at worst caricatures (though at least there are no comedy hookers this time around, small mercies and all that). The way the female characters are treated leaves a bitter aftertaste. Pickett’s adaptation, previously produced in the US, occasionally threatens to transcend the standard mid-life crisis model. There’s some astute stuff here about the disappointments that life doles out but the writing is not done any favours by this (Jacob’s) creaky production.